“LOOK BACK”: Caroline’s new book with Trish Cooke. Here is Christophine – the heroine of my forthcoming book with the writer Trish Cooke which she adapted from a Dominican Folk Tale. It will be published by Papillotte Press in The UK and Dominica in late May 2013.
Who was the mysterious Ti Bolom? Could he be real or just one of Grannie’s inventions from her Caribbean childhood? Christopher had to find out…. 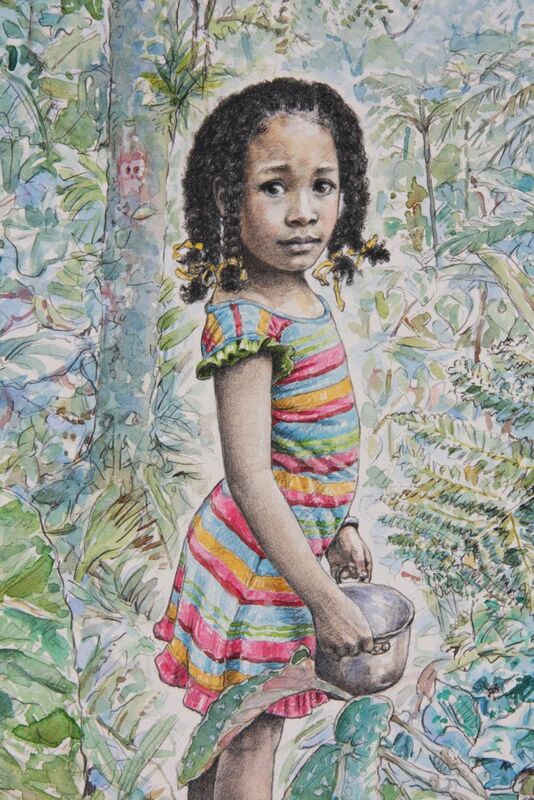 A magical story set in the rainforest of Grannie’s childhood Dominica.